Today I’ve got a day off from North Hampton. Apparently they believe in 4-day weekends, which is a-okay with me. Basically all I’ve done today is go see my lady friend for lunch, and attempt to turn my apartment into Mr. Freeze’s lair. So far it’s been successful, but if Batman shows up an busts through my porch window I’m going to be pissed. My lady works at the campus bookstore, and today was the first day I’ve gone on campus since I finished the UNH teaching program. To say I felt like I was an outsider would be an understatement, although it was refreshing to see that there were still idiot freshman and that the guys at ATO were still “regulating”. However, I could feel the bad choices in the air that were going to be made this weekend already, and in a way I’m glad that I’m not going back. But anyways, I watched a movie. Consider this Michael Caine’s Taken. Or to put it more aptly, the British Gran Torino, except with actual killing. Michael Caine stars as the titular old fogey, who was a member of the British Marines years ago. After his wife dies in the hospital, he turns to his only friend for comfort. Unfortunately a few weeks later his friend is murdered by the crack heads who live in his complex, and after learning from the police of his death, Brown decides to take the law into his own hands. I have to say, this movie was awesome. I had been looking forward to it ever since I read about it in Empire Magazine (the best movie mag out there, hands down). Unfortunately it’s a British movie, which meant that I’d have to wait for the DVD. It was definitely worth the wait, and Caine is a badass in this movie, which is pretty unexpected, especially since he’s pushing 80. However, the way that he takes out these lowlifes is really awesome and brutal, especially since he’s using real British Marine tactics to take these guys down. Emily Mortimer did a pretty good job as the police captain who suspects that Brown is killing these drug dealers and pushers, but the star of the show is Caine. He goes from being a lonely old man, to a depressed old man, to finally an old man who will kill you without skipping a beat. 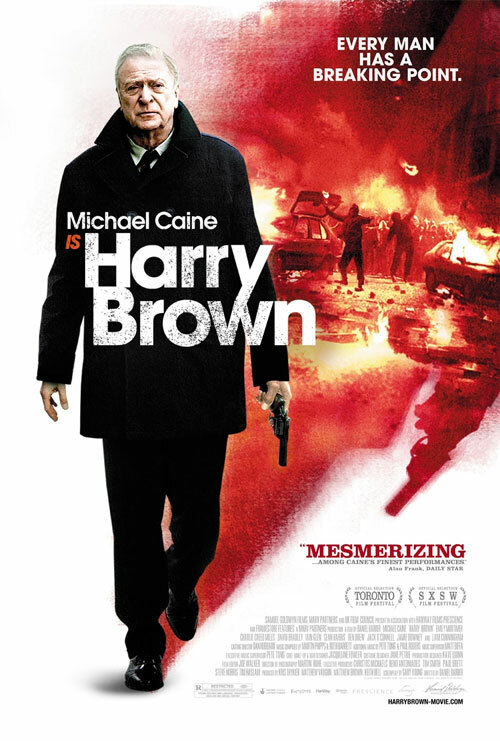 As a big fan of the revenge flick, I can honestly say that Harry Brown is not only worth the watch, but one of the best recent examples of a man taking the law into his own hands. The violence is definitely not for the squeamish, but Michael Caine’s performance alone more than makes the movie an excellent experience. Now I want a team up with Harry Brown and Liam Neeson’s character from Taken!